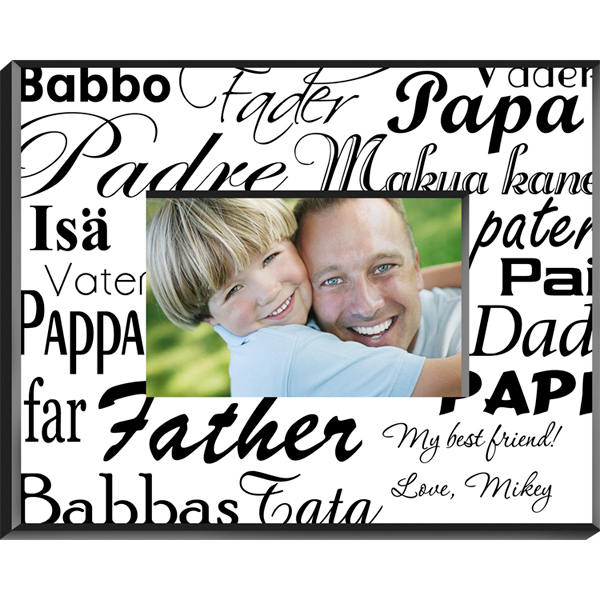 This unique personalized picture frame is perfect for his office, and will always remind him just how much you care. This attractive frame says "dad" in 16 different languages and a variety of fonts. Include two lines of text for a special personalized gift. Frame measures 8" x 10" and holds a 4" x 6" picture. Each line can be personalized with up to 20 characters. Allow 3 weeks. No rush delivery or gift box. Item can only be shipped within the Continental US.